Strengthened prosecutions in that category brought an increase in arrests for such crimes of 51.5 percent year-on-year, the nation's top procuratorate said. About 42,000 suspects were prosecuted last year for the crimes, an increase of 21 percent over the previous year, according to the SPP. Procurators also urged restoration of the environment when such cases arise. According to SPP, about 2,300 procuratorial working mechanisms for environmental restoration have been jointly established with local courts, public security departments and environmental protection organs nationwide. Under this mechanism, more than 85 million trees were replanted and more than 74 million fish fingerlings were raised and stocked in waterways. They also restored 5,600 hectares of arable land and 1,133 hectares of grassland and closed and restored areas that had been used for 519 mines. Offenders were ordered to pay more than 360 million yuan (US$53.1 million) for ecological restoration. Last year, under the supervision of procuratorates, 3,140 cases involving 3,942 suspects were filed for investigation by public security departments, up from 2,813 cases involving 3,524 suspects in 2017. Procuratorates filed about 60,000 public interest cases related to environmental and natural resources, including about 53,500 cases handled through a type of pretrial proceeding that originated in China. The proceedings allow procuratorates to provide suggestions to relevant departments for corrective actions before further legal action is taken. 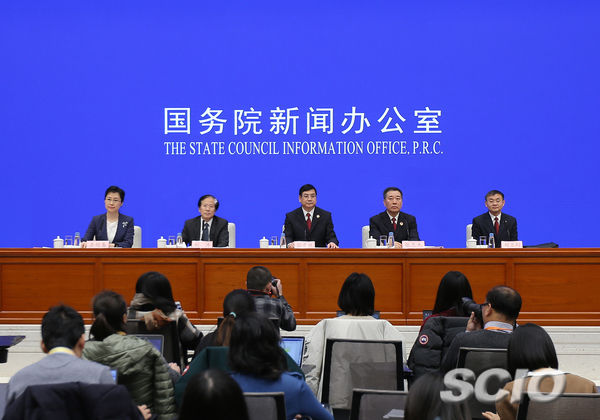 “A large number of cases have been solved in pretrial proceedings and the public's interests have been protected, so they do not need to go before the courts,” said Zhang Xueqiao, deputy prosecutor general of the SPP. Zhang said cases involving the environment and resources will be handled with a focus on ecological restoration and the concept of restorative justice will be employed. In July 2015, China began a two-year pilot program in public interest litigation. Through last year, procuratorates had collected some 164,000 pieces of information on environmental and resources issues applicable to public interest litigation. Among them, they dealt with about 120,000 cases that could be handled through pretrial proceedings, and initiated about 4,600 public interest prosecutions. In January, the SPP, together with nine government agencies, issued a guideline urging better cooperation in public interest cases involving the environment, including transfers of evidence, jurisdiction, evidence collection, pretrial procedures and filing of cases.